I absolutely adore PetCakes! 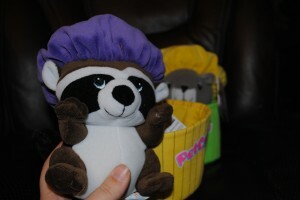 I have worked with them in the past and I am back with another review featuring these adorable plush Forest Animals! If you have never heard of them before, you may be wondering what PetCakes are. They are the cutest plush animals about 6 inches high, topped with a cupcake top and sit in their very own plush cupcake wrapper! There are four Series 2 Forest Animals and I was sent two of them for my review. I recieved Roco Coco and Nutty Nicky. Roco Coco is the raccoon of the bunch and Nutty Nicky is the squirrel of the group and they come from “Honey Suckle Woods”! Their tags tell a little something about themselves too and I think that is really cute! Roco Coco has a purple cupcake top with different colored triangular shaped sprinkles embriodered on. He is really cute and he’s got a fluffy tail! He’s very cuddly too and I just love his cherry on top! 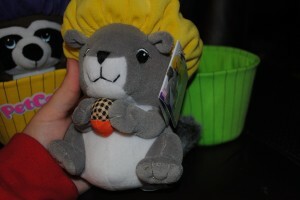 Nutty Nicky is a gray squirrel with an adorable fluffy tail too! I love the little plaid acorn he is holding (it’s sewn on) to add to his cuteness factor! He’s got a yellow cupcake top with teardrop shaped sprinkles in all different colors. They come completely out of their wrappers so that they can be played with in or out of them. 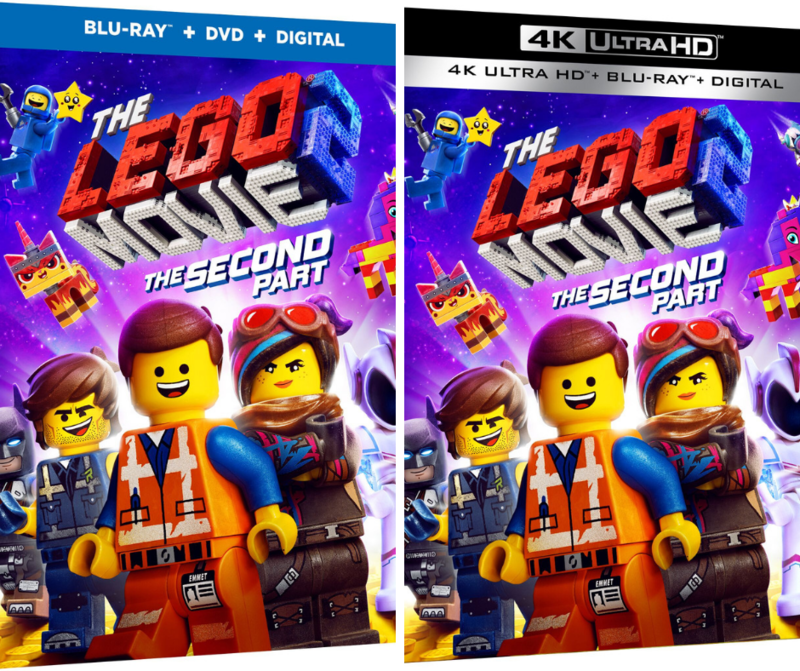 The wrappers can also be mixed and matched too. Our youngest likes to play peek-a-boo with them. They can be stuffed all the way down so that they just look like a cupcake. Then he lifts them up and says “boo!” when he pulls the animals all the way out. He thinks this is so funny! They are made really well which is good thing with plush toys because my kids can sometimes be rough with their plush toys. They are soft and cuddly enough to sleep with too. I love that the wrappers also hold their shape really well. They are the perfect size plush toys for imaginative play and role-play and I think they are the most adorable toys my kids have! We love them and they are also fun to collect! 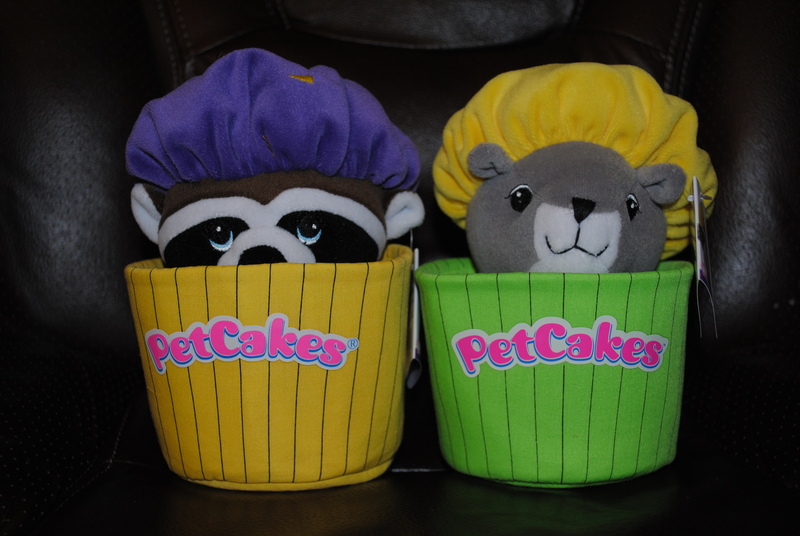 Buy It: Visit the PetCakes Shop to buy your favorite PetCakes for only $12.99! Check out what else they have to offer as well! See below for a couple updates you just might enjoy! 1. 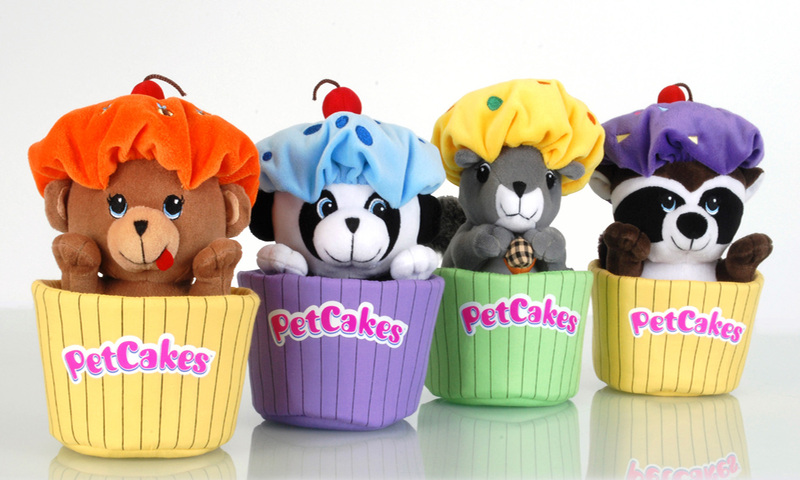 Right now we are running a special offer: Buy (4) or more Petcakes® Collectibles plush toys and receive the PetCakes® Collectibles Minis – 4 pack FREE you only have to pay an additional $1.99 shipping/handling. 2. Shipping Charges: When you place a multiple order for PetCakes® plush toys you pay $6.99 shipping /handling for the 1st. PetCake® and each additional is only $1.99 shipping and handling. sure to leave the link to your post in your comment so that I can check. (3 entries) One time entry unlike tweeting. 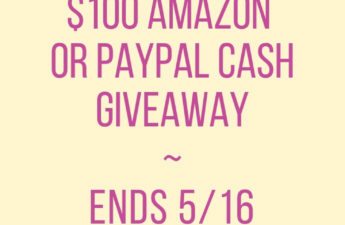 Giveaway is open to the US. Giveaway will end January 10 @11:59pm EST. Winner will be chosen using random.org. Winner will have 48 hours to respond after I contact via email. If winner does not respond, a new winner will be chosen. Good Luck! Kid K’Nex Undersea Friends Building Set and Carmex Healing Lotion and Cream Giveaway Winners! I commented on the Memories Monday and Digital Scrapbook Freebie post. 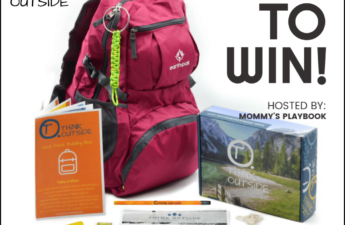 I entered the Aerobie Megatop giveaway. I entered the My Memories giveaway. 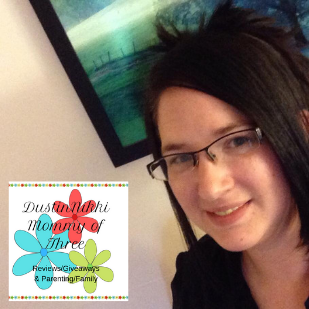 I entered the Cover Your Hair giveaway. I commented on the Nose Offense Pet Odor Eliminator Review. google +1 the Costume Squad Thundercats post. I also love Randy-Candy from series 1 & all the Halloween Dolls but the 10in Little Ghost is my favorite of those. google +1 Free Shipping at Cover Your Hair post. I commented on the Free Shipping at Cover Your Hair post. i like the ballerinas – it is so cool that kids can fasten them onto their shoes and dance with them! I can’t figure out how to delete comments with this system. I follow petcakes on Facebook (jody g h…). I follow with gfc (psychdog) and I love their halloween series. My favorite is the 17″ Hanging Bat. My Granddaughter would love the Ballerina’s. Nutty Nick is my fave. I entered the Crazy Dog T-shirt giveaway. I like PetCakes on facebook.